From the Rocky Mountain elevation of Beaver Creek, it’s a bit difficult to reconcile the words “local” and “sushi” — the Eagle River does not run with yellowtail tuna, after all. But the city’s newest hot spot, Hooked, has made “local” part of its mission, and is reeling in praise from enraptured diners. 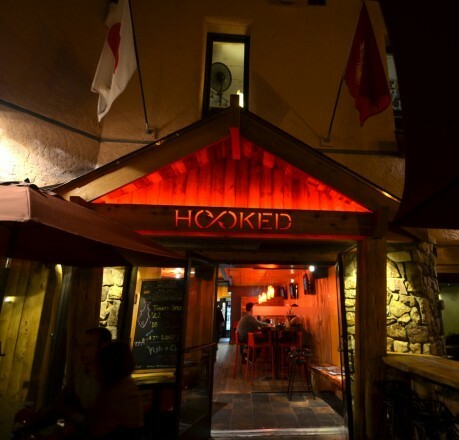 Hooked restaurant is a sushi-fueled fusion of fishhouse and steakhouse that opened in the famous mountain town last December, under the ownership of Riley Romanin. Romanin, who is also the executive chef, has created a menu that runs from pork belly to sashimi, from familiar to innovative, and from the coasts to the heights of the Rockies. Romanin was born and raised in Colorado, and is dedicated to finding the best local ingredients. This summer he has sourced Colorado peaches, corn, tomatoes, bass, and 7X Beef. Even the tables in the restaurant are carved from pine trees harvested after a local beetle kill. 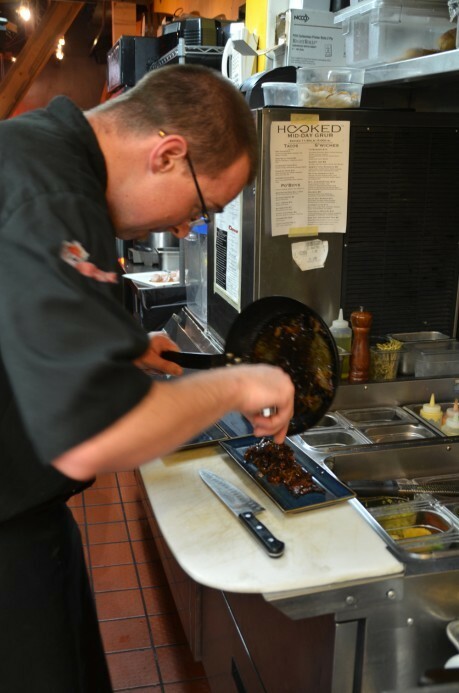 7X Beef is the only beef that Romanin serves in his restaurant, and he enjoys getting creative with it. He serves up a variety of beef courses during lunch, dinner, and late night happy hour. Some of his personal favorites include the Korean BBQ short ribs, a skirt steak, and the restaurants signature sushi, the Hooked Roll — 7X beef tataki, lobster, asparagus, and truffle vinaigrette. Romanin has an eclectic background in the culinary arts. He graduated from the Colorado Culinary Academy at Mesa State College and began working at Wine Cask, a Grand Award-winning restaurant in Santa Barbara, California. 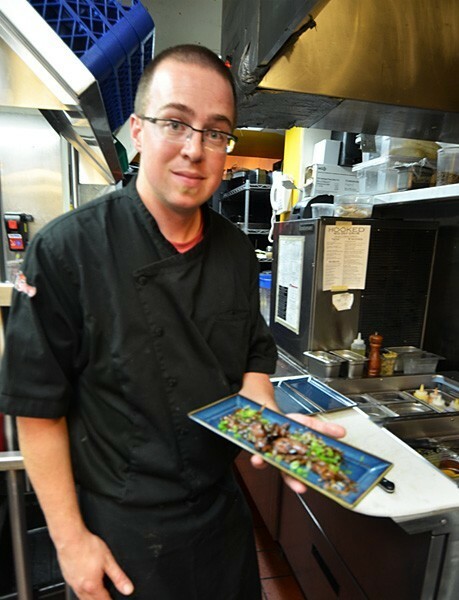 A bit homesick, he returned to the Rockies and worked at Foxnut Asian Fusion & Sushi in Beaver Creek, for five years, and at Sebastian Vail for two. With years of sushi making and seafood knowledge under his belt, he struck out to open Hooked. Hooked has had a tremendous response from visitors to Beaver Creek and is creating a dedicated a local following. As it heads into its second year, Romanin is excited to change up the menu to keep all his guests enthralled. Though he hasn’t finalized his winter menu yet, he knows 7X Beef has a permanent place on it.